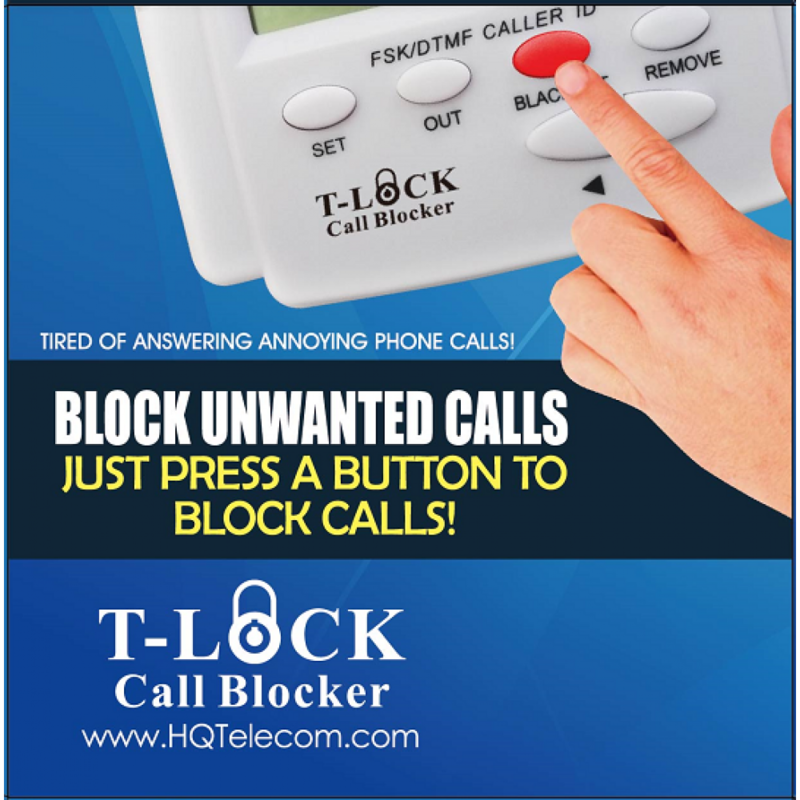 If you are getting bombarded by non-stop calls from people trying to sell you stuff, or trying to trick you into giving them your money, then you need to get the T-Lock Call Blocker Version 5.0; the latest and best solution available in the market to block unwanted calls and protect your privacy. 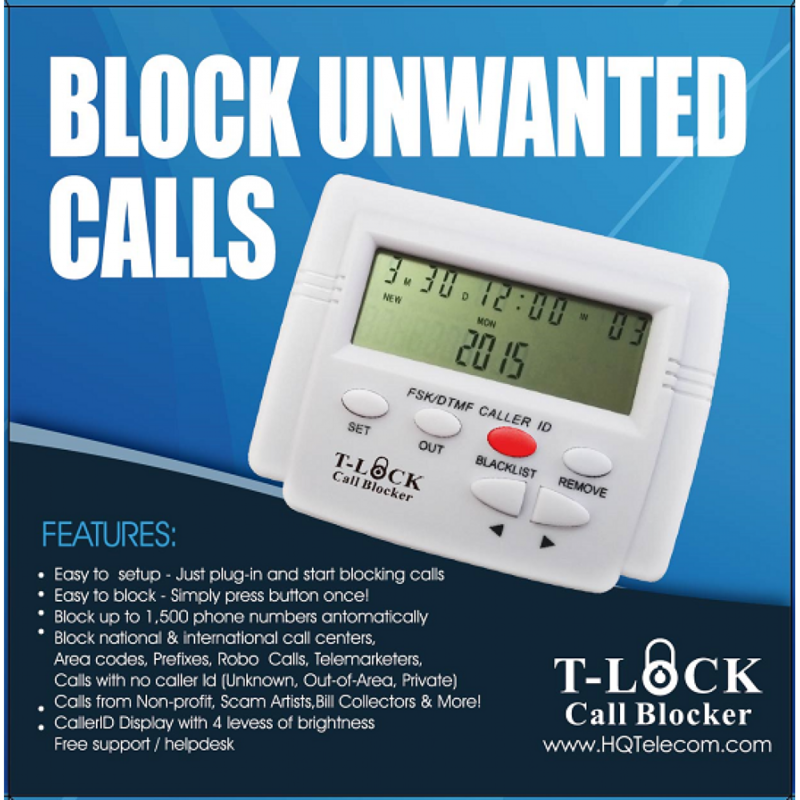 ▶ Easy to setup & use -- Simply press a button to BLOCK unwanted numbers forever! 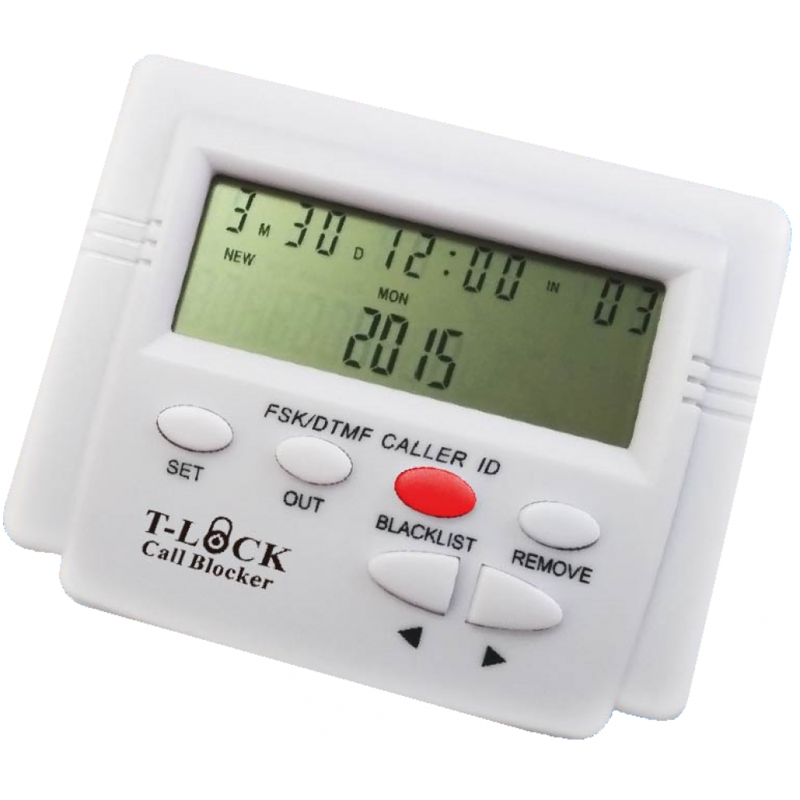 ▶ Compatible with FSK/DTMF, PSTN landlines, DSL lines, and VOIP services (tested with Vonage, Magicjack, Comcast, Verizon FIOS, and many others. 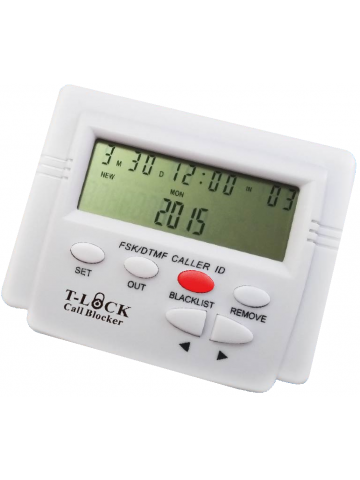 Important: This device requires the Caller ID service to be activated on your phone line (e.g. the ability to see the name an phone number of incoming callers). If you are not sure, please consult with your phone service provider. It's very easy to install and use. There is no programming needed, simply plug it in (show video below) between the phone line and your phone, and wait for unwanted calls to ring. Then simply press the BLACKLIST button to add unwanted calls to the BLACKLIST so that next time those numbers call, the unit disconnects those calls automatically. Optionally, if you have a list of unwanted numbers, you could add unwanted numbers to the BLACKLIST memory manually. How do I set it up? How easy is it to install? 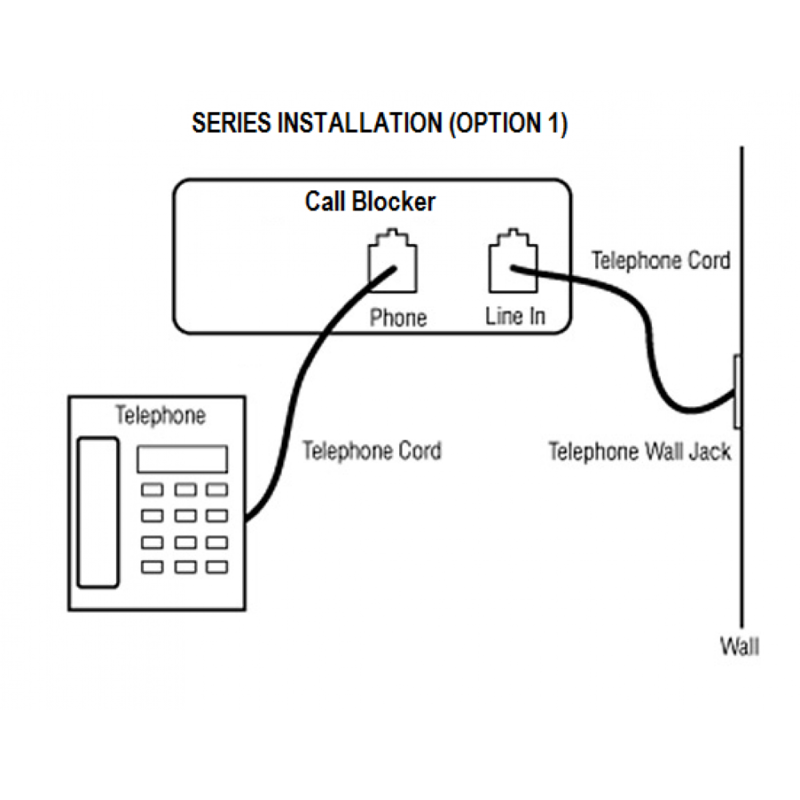 The T-Lock Call Blocker is very easy to set up. Watch this short video to see! Does it require Caller ID service active on my phone line? 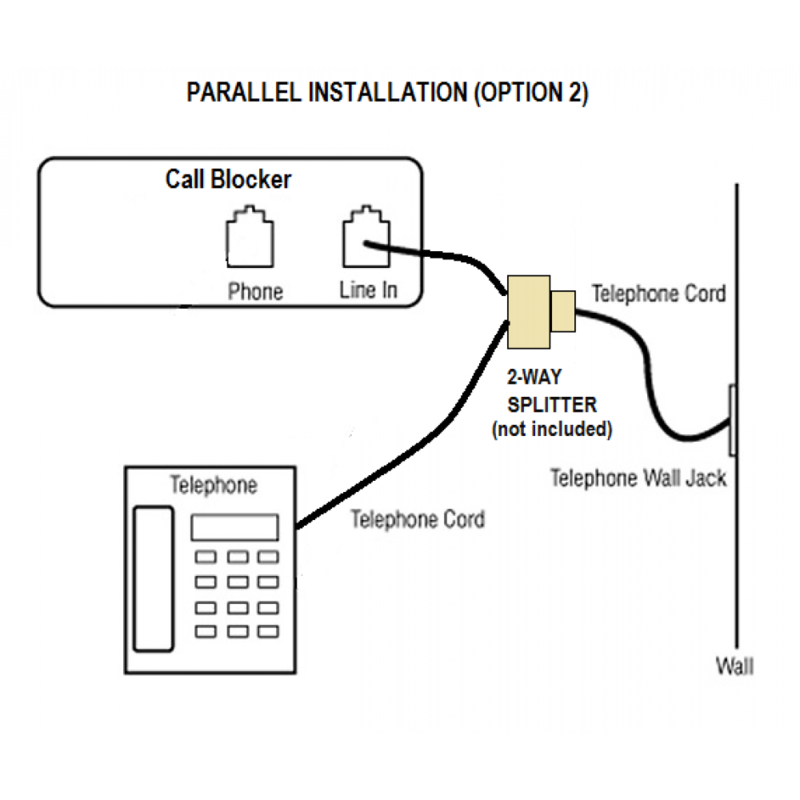 Yes, you need to make sure the caller id service is active on your phone line in order for this device to work properly. If I loose power, will I loose the numbers I added to the BLACKLIST memory? No. This unit has non-volatile memory that will prevent it from loosing all the stored numbers, even when disconnected for a long time. I get instant protection from already known phone numbers linked to scams & frauds? Unfortunately no. This device will help you build a list of unwanted numbers over time, but it will require some screening efforts. We recommend you use our Virtual BLACKLIST service to identify numbers linked to unsolicited calling (learn more). ▶ Contact Us anytime (use link below). We respond our emails within 1 business day.